Floppy Drives are almost extinct now. Well, there may be instances where we still need them. But, I hate the sound they make when we click on the empty floppy drive icon in explorer. So, I decided to get rid of it so that I don’t click on it accidently. Here’s a tutorial that explains you how to remove a Floppy Drive Icon. Go to Start and in the search type ‘devmgmt.msc’ and hit enter. This will open the Device Manger. In the list check for Floppy disk drive as shown above. Right click on it and select ‘properties’. Under the ‘Driver’ Tab, click on ‘Disable’. This will disable the drive temporarily. 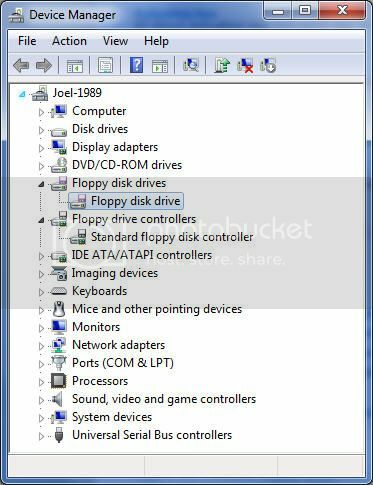 The Floppy drive icon will disappear from windows explorer. To get it back simply click on ‘Enable’.